Here's an invitation for you! How can you proactively check that your Video OTT Services are working correctly? The chaos of OTT delivery architectures requires a new vision of QoE Monitoring, and that's where the Witbe Robots come into play. 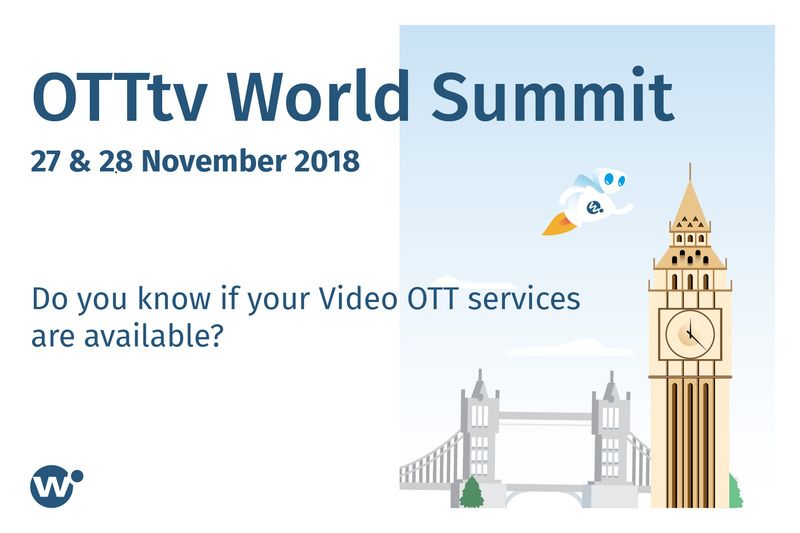 Come meet us at OTTtv World Summit to see how Witbe can help you achieve the perfect Quality of Experience! We will also showcase our latest annoucements: Witbe Datalab, our unique web application to create stunning visual reports from Witbe Robots’ KPIs and Witbe VQ-ID, our latest video quality algorithm that alerts you in real-time of any video and audio incident. Let's schedule a meeting in London!